Managing money is like playing with a pie chart, continually shifting and resizing pieces to reflect financial conditions around you. The personal financial pie slices represent actual funds, so the stakes are high, arranging resources for your personal financial success. One of the biggest, most important slices of your financial pie should be personal savings, but this lifelong priority often gets pushed to the end of the line. 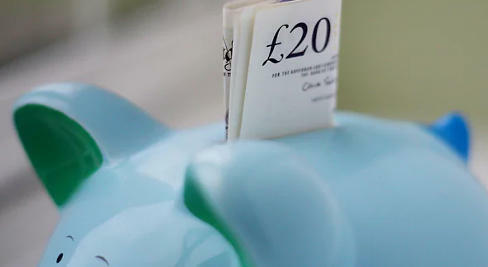 Many Britons aren’t saving at all and among those who do set by savings, reserves are lagging. If you aren’t yet sold on the importance of saving money, consider the following reasons for putting by funds for the future. Medical Emergencies – Despite access to care, medical difficulties can result in out of pocket costs. You might also lose work time as a result of an injury or illness, slowing cash flow when the money is most needed. Car Trouble – Maintenance costs are to be expected, but when you’re skint a major car repair can really set you back. Short-term loans don’t always call for credit checks, furnishing multiple funding options for quick car repairs. An even better solution, maintaining personal savings gets you back on the road without outside help. House Repairs – From replacing broken-down appliances to conducting costly plumbing and electrical updates, house repairs can strain your budget. Personal savings provide a cushion, enabling you to make timely updates, as required. Earners currently in their 30’s and 40’s will have to wait until at least age 68 to retire with full pension benefits. The number will likely move again before some of these workers reach State Pension Age, so personal savings are a must. Well-funded reserves ensure your financial obligations are covered, regardless of what happens to the pension age. Pension benefits are not what they used to be either, leaving younger workers without the same protections enjoyed by their parents. Pension plans have shifted dramatically from guaranteed benefits schemes, promising retirees a preset portion of their customary take-home pay earned while working, to performance-based pension schemes, paying only what the investments earn over time. UK employment numbers remain strong, but job security is never absolute. If you suffer redundancy or employment interruptions, your personal savings may be all that’s left, keeping you afloat. What’s more, getting back to work may require retraining and education. Your savings can help cover the cost of tuition and courses to quickly get you back on the job. In fact, continuing education can protect you from losing your job at all, making you more valuable to your employer. Personal savings spent on education can help reinforce job security, keeping you on the cutting edge of your field. Setting by at least six months’ worth of basic expenses is a common recommendation, providing enough reserves to cover your house payment, car loan, credit card bills, and other recurring expenses. Even if you don’t spend-down the entire sum before restoring your regular paycheck, the fund provides security and keeps you from backsliding. Personal savings can also help you advance your career as an entrepreneur. When a start-up or consulting business provides your best path to steady employment, your savings represent vital investment capital for getting the venture off the ground. While self-employment may not be for everyone, those with savings in reserve have more options for self-starter employment. Savings rates continue to falter among UK consumers. Collectively, the trend worries economic analysts, but closer to home; weak savings reserves can leave you vulnerable to financial distress. As the pension age rises and uncertainty looms, dedicating yourself to saving more can help protect your financial future.